Custom CNC Alloy, Straight 1-1/8"
What’s up! This is Brent. 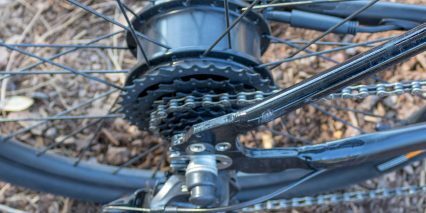 Today I’m going over the Pure Cycles Volta 8-Speed. 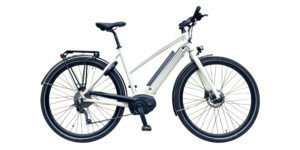 This is the second bike I’ve reviewed from Pure Cycles, with the first being the Volta Single Speed, which is a belt drive electric bike. 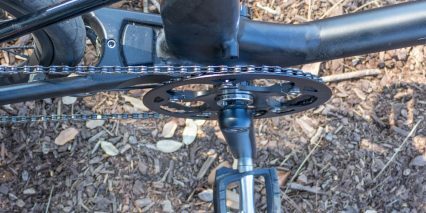 This one is similar in almost every respect with the key difference being an 8-speed cassette and a Sram-X4 derailleur in lieu of the belt. I’ve had this bike for a while now and have been able to put quite a few miles on it. 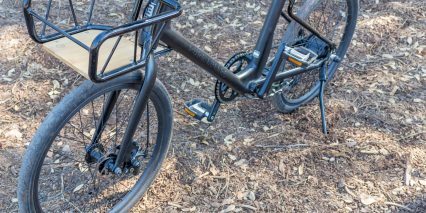 The Volta 8-Speed is quite lightweight compared to many other electric bikes, weighing in at just 37.9 pounds, just a few pounds heavier than the Single Speed. 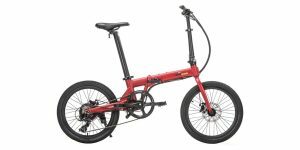 Because this bike is pretty lightweight and well balanced, it’s easy for me to carry around, specifically up and down stairs. Normally I use a throttle to help boost heavier bikes up stairs, but since this doesn’t have a throttle I just carry it. 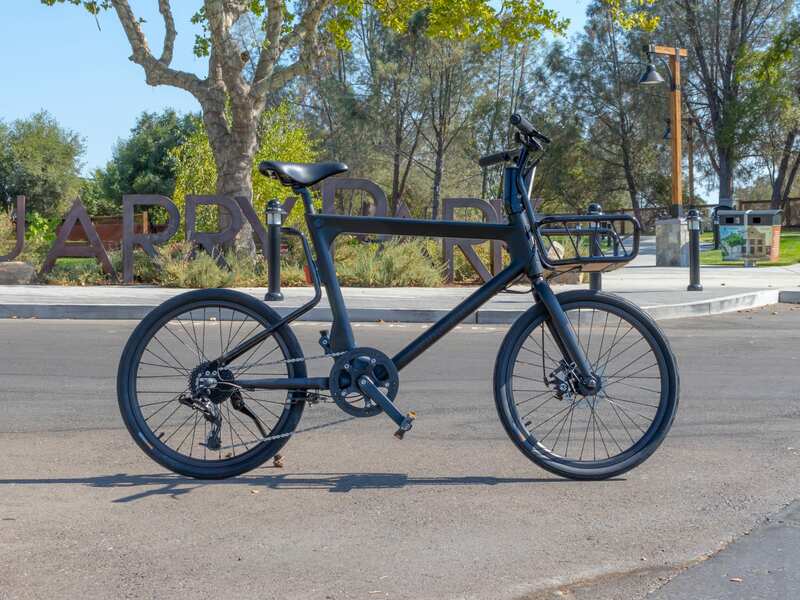 The Volta 8-Speed runs for $1,999 and is a sleek and stealthy electric bike that comes with an integrated headlight and taillight that actually gets brighter when the brakes levers are depressed! All the wiring and batteries are internal and this thing really flies under the radar, and the black gearless hub motor blends in perfectly with the black frame. 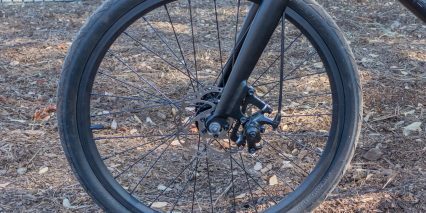 Unfortunately though, the Volta 8-Speed only comes in one frame size: 20 inches. Despite that measurement, it’s actually a compact bike that feels quite a bit smaller than a full size in all the right ways. It’s small and nimble, but not so compact that I feel cramped while riding. 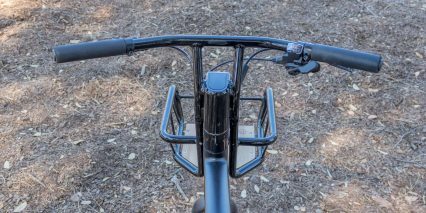 Still though, the single frame size will mean some extra small riders and particularly extra tall riders won’t be a able to comfortably fit. 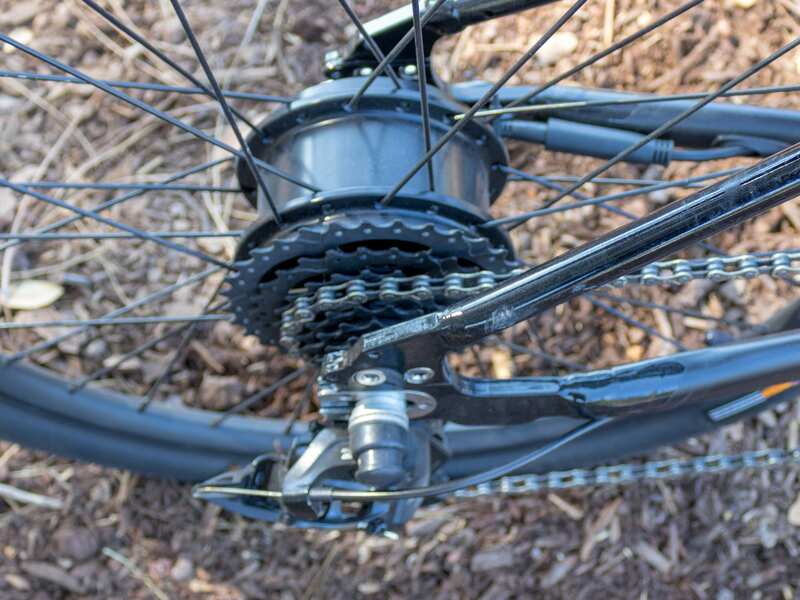 The Volta 8-Speed now comes in three different colors, black, white and silver. The model I received was black, which looks great but will have a lower visible footprint in low-light conditions. 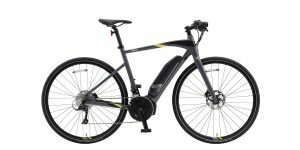 The electronics on the Volta 8-Speed are pretty unique, with a simple, integrated display that’s touch sensitive, along with an app, a key fob to remotely turn on the bike and a security system with a GPS to monitor the bike’s location and alert the owner if it’s moved or disturbed. Pretty sweet. 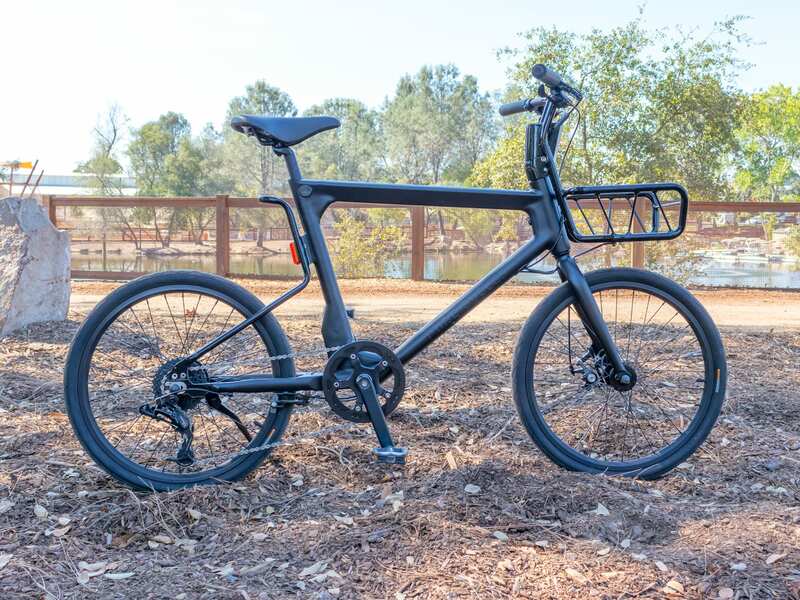 Pure Cycles has dealers scattered across the U.S., Canada and much of Europe, which is great for being able to physically see and ride this bike before actually purchasing one. 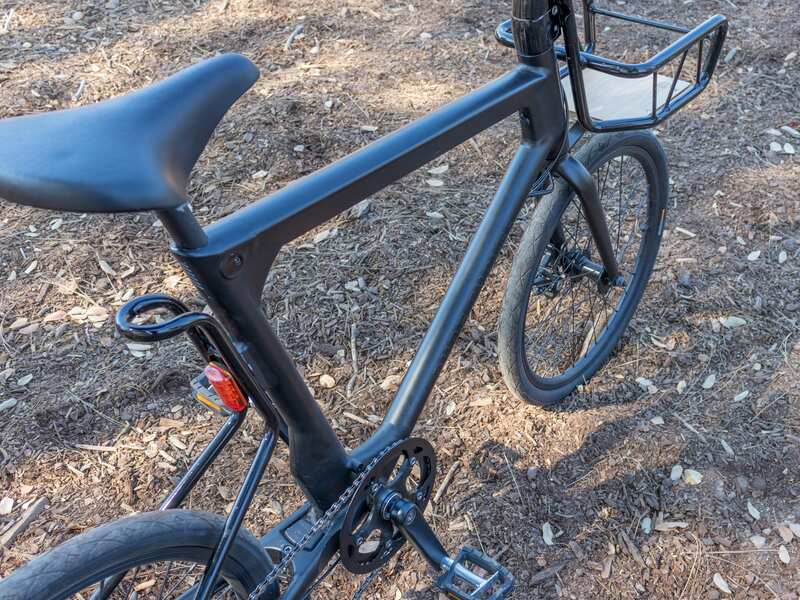 Assembly was quite easy, but for those who don’t want to hassle with it, Pure Cycles also offers the option to have it assembled and delivered to your door for $99. They also have a 30-day return policy and a 1-year comprehensive warranty. 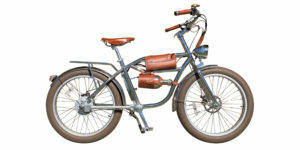 Driving this bike to a top pedal assist speed of 20 mph is a Bafang 250 watt gearless hub motor. 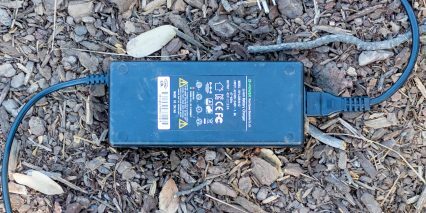 This is a great power sipping motor that really takes it easy on the battery, which is good given it’s limited capacity. 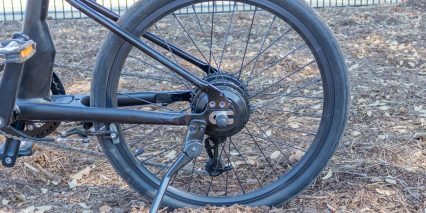 Since this is a gearless hub motor as opposed to the more traditional geared hub motor, the roll on of power is glassy smooth. It’s also one of the quietest motors I’ve tested , AND it has regen when braking, which feeds a bit of the power back into the battery — not a lot, only around 3 to 6 percent, but that’s better than nothing. A potential downside to gearless hub motors though is they generally don’t have quite as much torque as their geared counterparts, and I found that to be the case here as well. But the smaller 22 inch tire size does help give the motor a bit of a mechanical advantage. Still, the 250 watts of power does make a big difference when climbing hills. 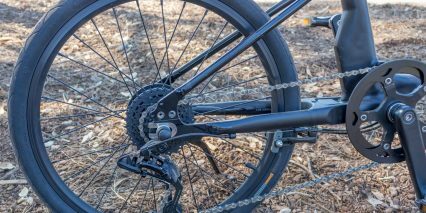 The torque sensor on this motor is great as well, with a super quick activation and deactivation as soon as I put pressure on the cranks and stop pedaling, respectively. Again, there’s no throttle here on the Volta 8-Speed, and while I normally prefer to have the option of a throttle, in this instance I actually prefer it without. 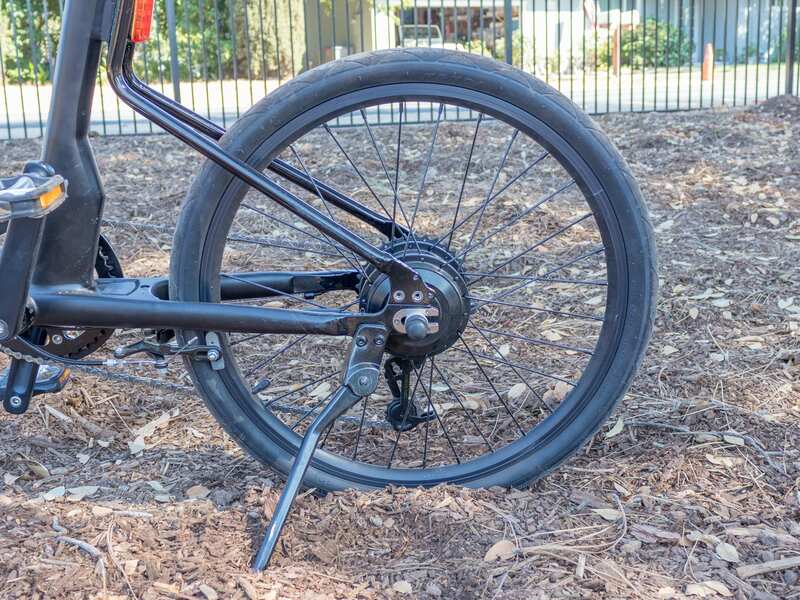 The ride experience with the Volta 8-Speed is great, and I enjoy being forced to pedal a bit. 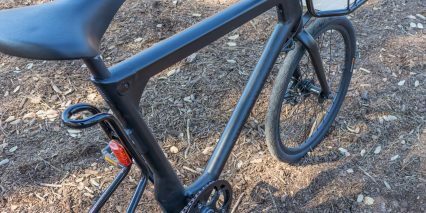 Powering the Volta 8-Speed, the integrated headlight and taillight and the display is a 42 volt 243.6 watt hour Lithium-ion battery that’s hidden in the top tube. At 243.6 watt hours, the battery capacity here is definitely below average. 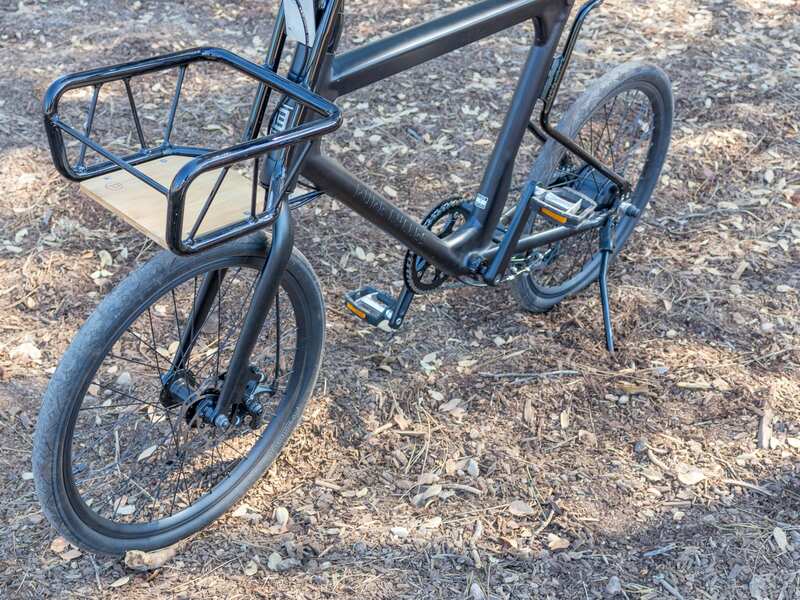 I think this bike is geared towards shorter commutes as opposed to long treks — I’m thinking of the compact frame, the lack of suspension, the smaller 22 inch wheels and the lower battery capacity. I weigh about 190 pounds and generally carry around 30 pounds of camera gear with me, and I was able to get around 15 miles out of a charge on the highest pedal assist mode. When I dialed it back to the lowest pedal assist mode, I was able to double that to about 30 miles. 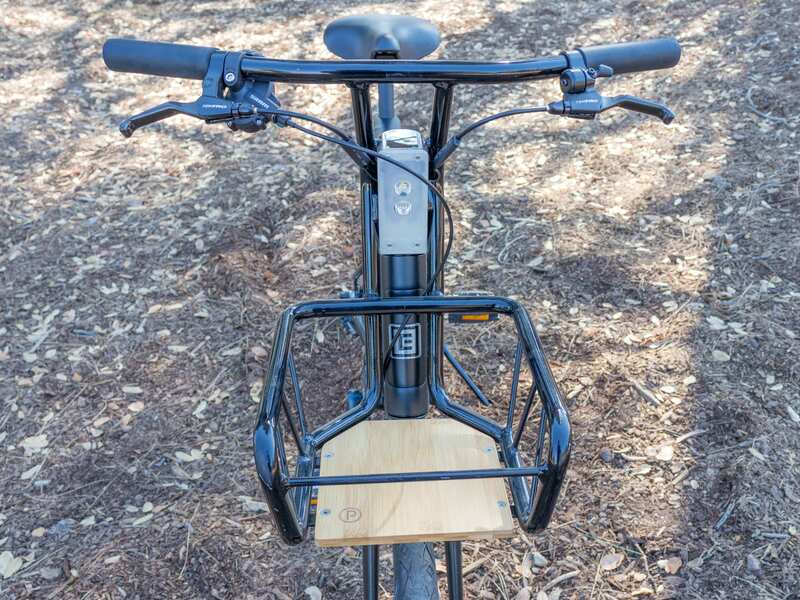 I love that the battery is internal here as it does make for an under-the-radar electric bike, but there’s some compromises that have to me made. For starters, I’m forced to charge the battery while inside the bike as it can’t be removed. 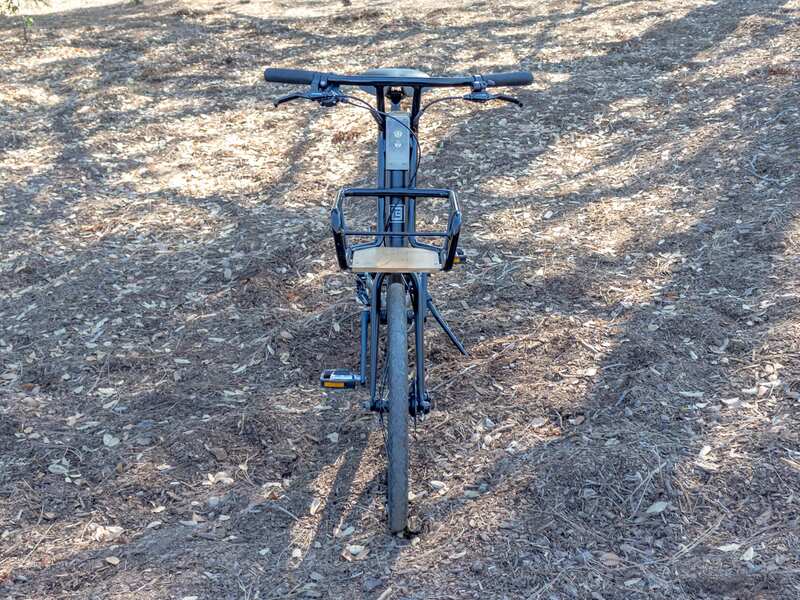 For those with tons of space, this might not be an issue, but for folks who live in an apartment in the city, that might get tricky, even though this is a compact bike. 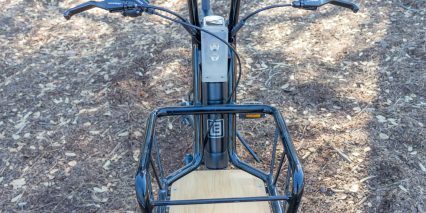 It also means the battery will be exposed to whatever temperatures the bike is exposed to. 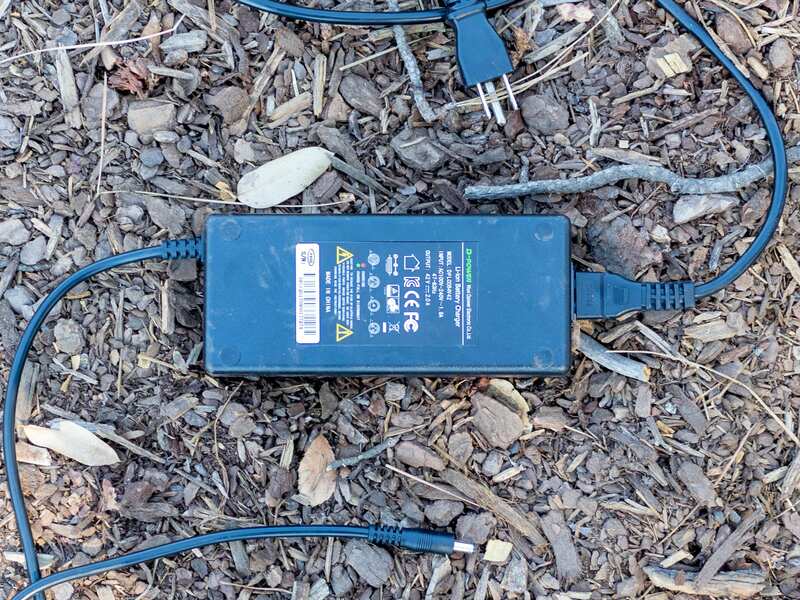 Batteries like to be kept in a cool, dry location, but if the only place to store my bike is in my backyard in the sun, then the my batteries will get hot in the direct sunlight and potentially decrease their lifespan. The last major drawback to having internal batteries is that if I have an issue with them, I’m going to likely need to send the entire bike back to have it repaired as opposed to simply swapping battery packs out. 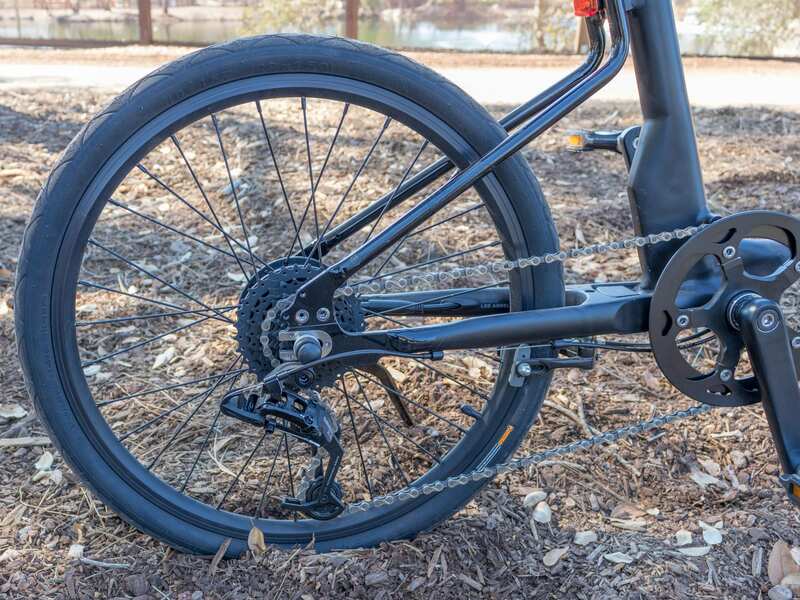 The charger for the Volta 8-Speed is a standard 2 amp output that should fill them up pretty quickly given the lower capacity. The display on the Volta 8-Speed can be activated by one of two ways: using the included key fob or via smartphone. Once the Pure Cycles app is downloaded, the bike is synced by scanning a QR code. From there, I can scan another QR code to sync the key fob. BUT there is no way to turn on the bike without the key fob OR smartphone. This might be great in the way of security, but if I forget my key fob and my phone dies during a ride, that means I won’t be able to change settings or turn the bike on or off. 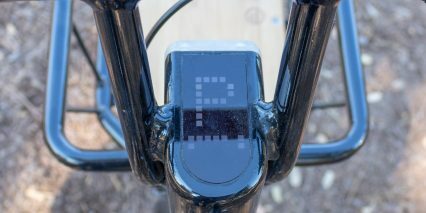 So, once the bike is turned on, the display comes to life. 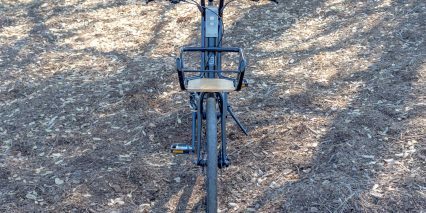 The display is integrated into the handlebars and all but disappears unless I’m looking directly down at it. It’s a fixed display so it can’t be angled to avoid glare and it’s position means I have to really look away form the road if I want to get information off of it, which can be dangerous to do while riding. 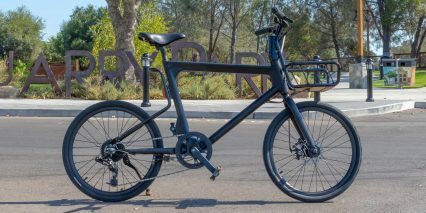 However, there’s really not a lot of information to be had on the display anyway, which again goes back to the paradigm of this bike — simple, clean and intuitive. The display shows battery level and speed via a series of small squares, so there’s no way of really knowing exactly how fast I’m going unless I have the app open and my phone attached to the handlebars. The battery level indicator is a seven-bar indicator which is more precise than some of the four and five-bar indicators, but for a percentage indicator I need to open the app itself. 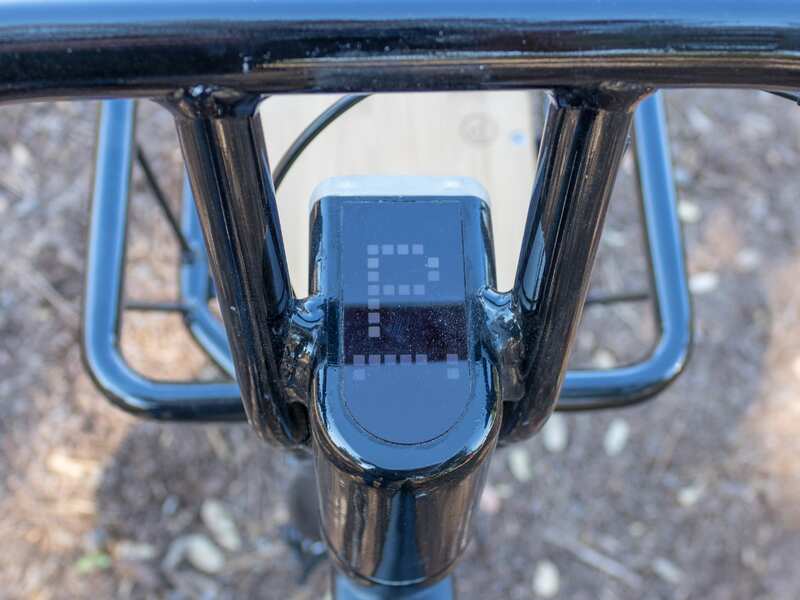 The display also shows what level of pedal assist I’m in — BIKE, SMT, ECO and POW — and this can be changed by tapping the touch sensitive bar at the bottom of the display. 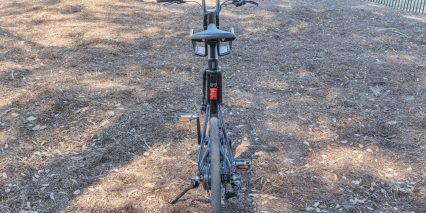 However, in order to change the pedal assist modes the bike must be at a complete stop. 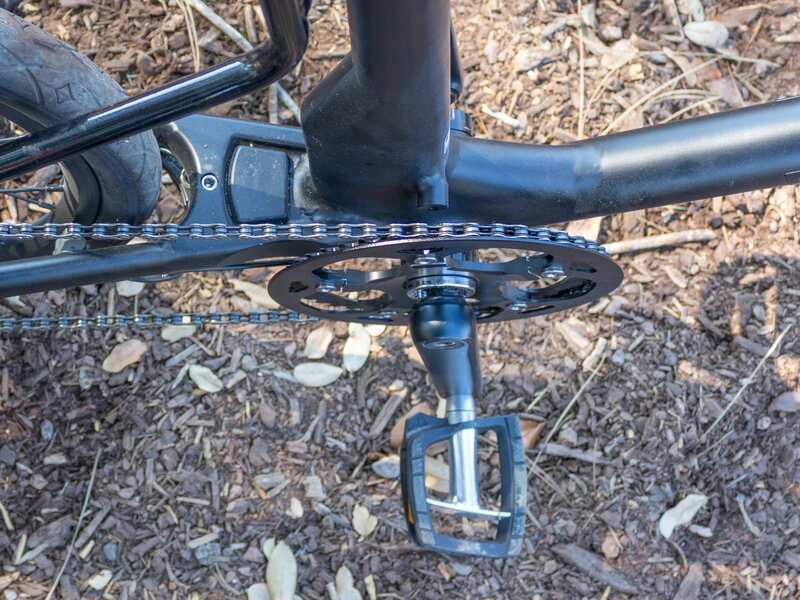 I’d prefer if I could switch modes on the fly as I have been riding this bike on the lowest pedal assist setting, but sometimes want to switch before hitting a big hill. It would be nice not to have to come to a stop before doing this, but overall not a big deal. One of the most interesting aspects of the electronics though is the integrated alarm system and GPS. Once the bike is armed, an alert will go to my phone if the bike is moved or tampered with. That’s pretty sweet. 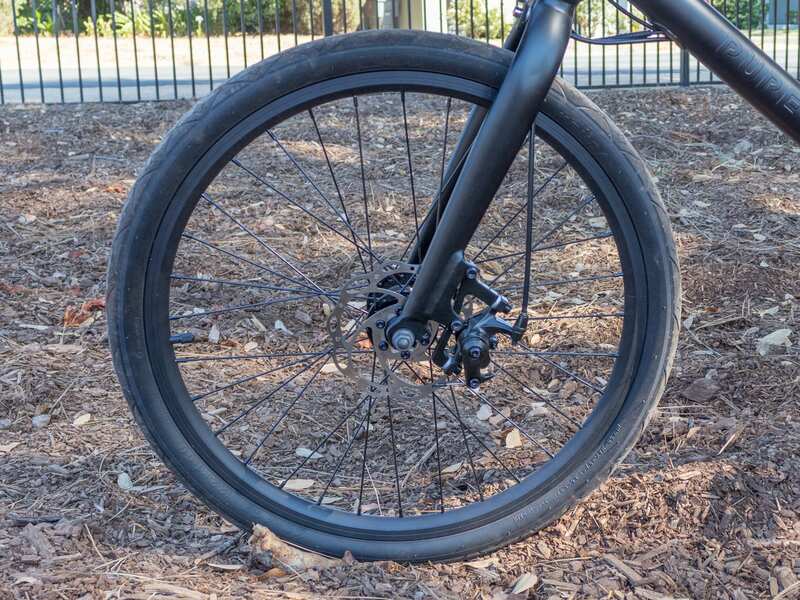 I think this could also be used if I wanted to let a younger rider take this bike out… I could lower the top speed and torque in the settings and then keep an eye on them via the GPS tracker in the app. 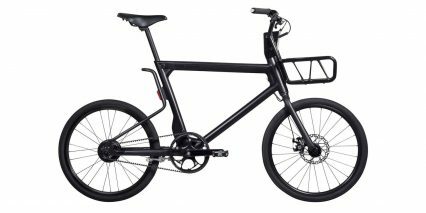 There’s a lot I like about the Volta 8-Speed — the under-the-radar design, regen braking, 140 mm mechanical disc brake in the front and caliper brake in the rear, integrated headlight and taillight, integrated basket, simple display — and the overall vibe I get from this bike is that it’s meant for people who are either limited on space or just need a lightweight, compact electric bike. 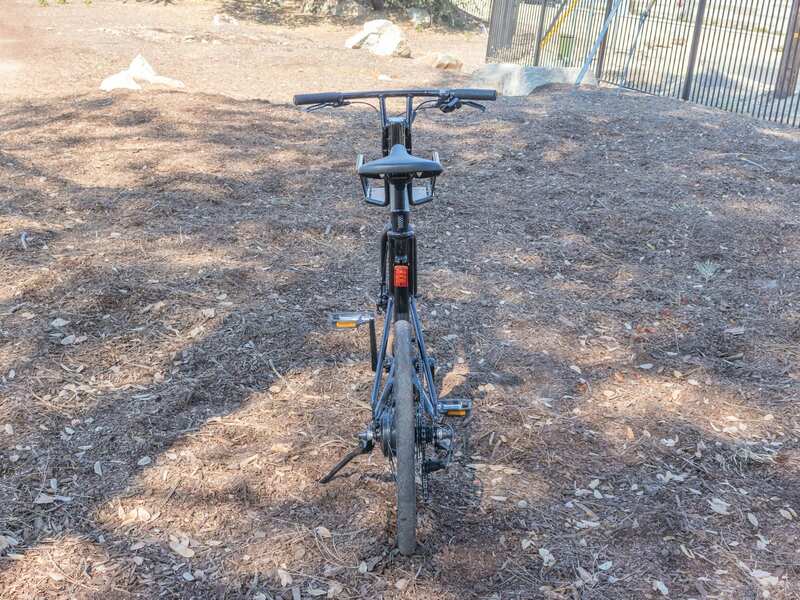 This seems like a perfect fit for those who live in the city and have to carry their bike up and down stairs, and who only need to ride for around 10 or 15 miles. 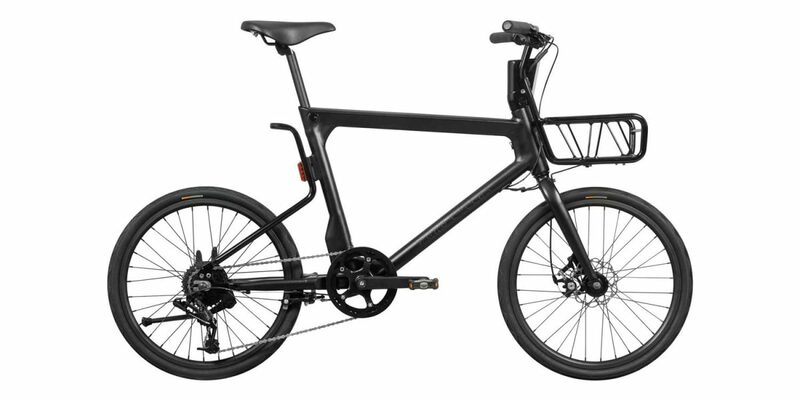 This is definitely a shorter distance electric bike and not a serious commuter because of the limited battery capacity, no suspension, smaller tires and smaller frame, but on short rides it really shines. Aesthetically, this bike is a head turner, and technically, it has a lot to boast about as well. 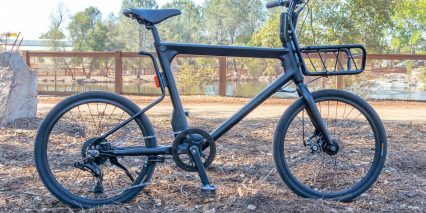 Pure Cycles also offer this model in a Single Speed, which we reviewed here, and they also have a new model coming out that is far more utilitarian — the Capacita, which hopefully we’ll be able to review soon! 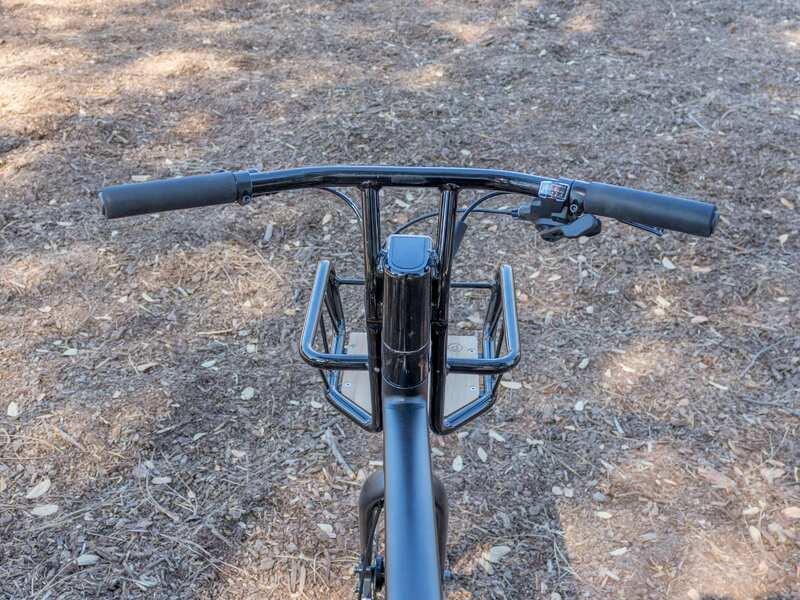 I want to thank Pure Cycles for partnering with me on this review and for anyone who has any questions, just leave them here, on YouTube or in the forums and Court and I will get back to you as soon as we can! Thanks, everyone and ride safe!